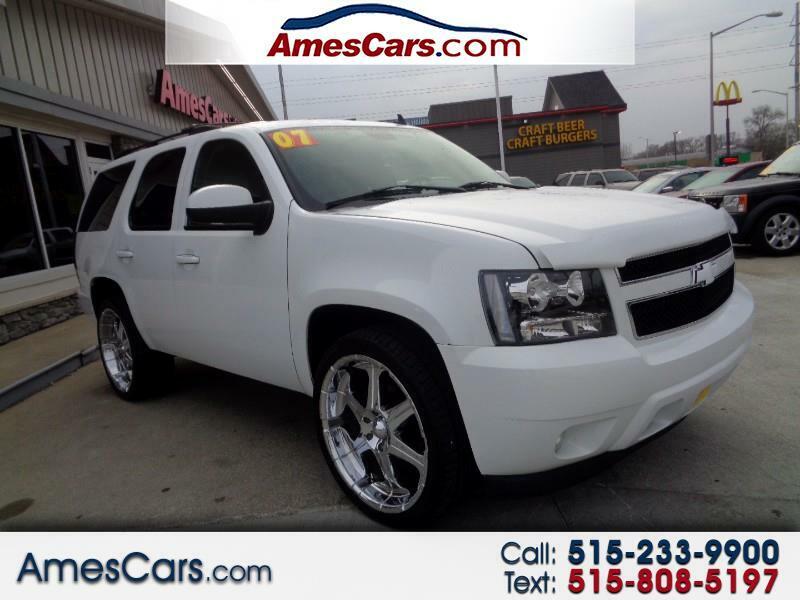 ****NEW ARRIVAL**** 2007 CHEVROLET TAHOE LTZ, 5.3 8 CYL, FOUR WHEEL DRIVE, 24 INCH GIOVANNA WHEELS, BRAND WHEELS, LEATHER INTERIOR, HEATED SEATS, DUAL POWER SEATS, DUAL CLIMATE CONTROL, NAVIGATION, REAR DVD, REAR BUCKET SEATS, THIRD ROW SEATING, RUNS AND DRIVES GREAT!! REALLY GOOD CONDITION FOR THE MILES. PLEASE CALL FOR MORE INFO OR TO SCHEDULE A TEST DRIVE TODAY!! !